22-metre festoon light kit comprising of 10 bulb holders with Edison Screw (ES) fittings. 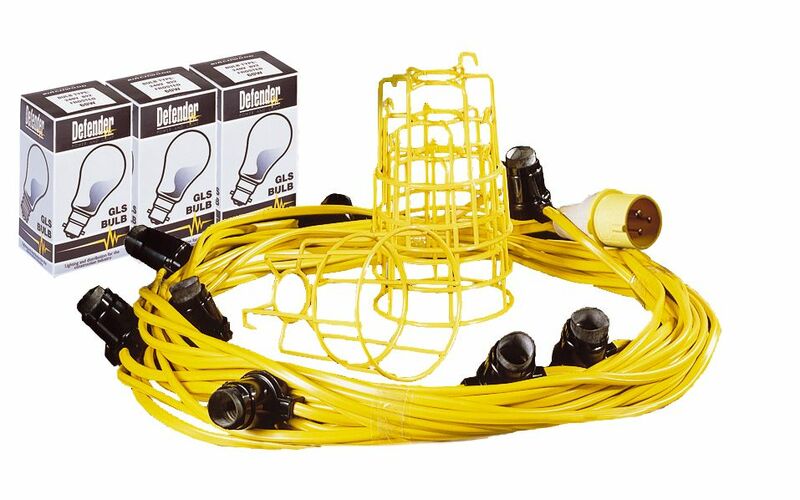 Made with 2.5mm cable and fitted with a 16amp plug, the kit includes 10 x guards and 10 x 60W bulbs. 110v. Suitable for Indoor & Outdoor use. Can be linked with a junction box.